The power package for your filter – get the best water quality thanks to optimum biological water purification in your freshwater or marine tank. 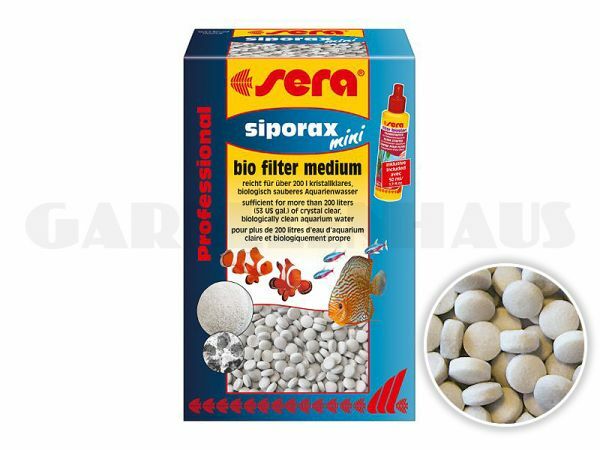 sera siporax Mini is a filter medium with intensive biological action for all biological internal, external and trickle filter systems. As a highly efficient long-term filter medium, sera siporax Mini is especially suitable for small biological filters, and its space-saving round pellet form brings even more surface area while the filter volume remains constant.